Facebook, Twitter, and other social media platforms can be beneficial and enjoyable, but only if they are used in a way that honors God. Sadly, we all know there is a lot that happens online which does not honor God; some of it is even done in His name. We must be incredibly careful before we post something. 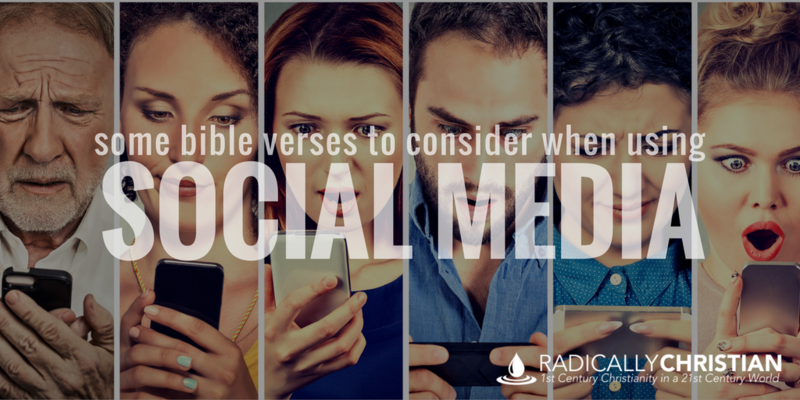 Consider some of these Scriptures when you’re using social media. What better place to learn the wisdom that we need than the book of Proverbs? Here are a few Proverbs for you to consider. “Whoever restrains his words has knowledge, and he who has a cool spirit is a man of understanding. Even a fool who keeps silent is considered wise; when he closes his lips, he is deemed intelligent” (Proverbs 17:27-28). God’s people need to know when to say something and when to restrain our words. We need to be people with a “cool spirit,” as opposed to a hot temper. “Whoever isolates himself seeks his own desire; he breaks out against all sound judgement” (Proverbs 18:1). If we’re not careful, social media becomes an “echo chamber,” where we only hear voices who agree with us. If someone says something we don’t like, we block them or unfriend them. 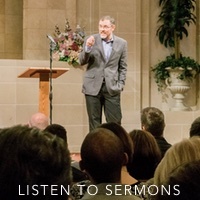 The problem is, some of those voices may be people with “sound judgement.” The only way to grow is to allow those with differing viewpoints to speak into our lives. “A fool takes no pleasure in understanding, but only in expressing his opinion” (Proverbs 18:2). The application of this passage is obvious, isn’t it? Social media has magnified this kind of foolishness. We all want to share our opinion, but we don’t want to listen. We don’t want to understand. We just want to be heard. It’s time for that to change. “When wickedness comes, contempt comes also, and with dishonor comes disgrace” (Proverbs 18:3). If you post or get “tagged” in something that reveals wicked behavior, don’t get upset when people “judge you.” Dishonorable behavior, brings disgrace and contempt. Strive to be a wise presence online. Let your words and the things you share be refreshing and life-giving. Words are so powerful. They can either heal or they can destroy. Choose your words wisely. “A fools lips walk into a fight, and his mouth invites a beating. A fool’s mouth is his ruin, and his lips are a snare to his soul” (Proverbs 18:6-7). Don’t be the kind of person who invites a virtual or a verbal “beating.” When you share an article that is filled with hateful and derogatory comments about a politician; you know you are going to make that politician’s supporters very angry. Ask yourself, is it worth it? Does this really need to be said? Am I being mean, cruel, or hurtful? “Whoever is slack in his work is a brother to him who destroys” (Proverbs 18:9). Social media can consume so much of our time and energy. Time and energy that might be taking away from work. This Proverb says that when a person is lazy in their job, they’re pretty close to being someone who intentionally sabotages the efforts of their team. “If one gives an answer before he hears, it is his folly and shame” (Proverbs 18:13). One of the things that frustrates me the most on social media is when people comment on articles without actually reading them. The headline of an article will pose a question and people will attempt to answer the question without actually reading the article. We must be people who listen before – and more often than – we speak. I could go on and on with passages from Proverbs, but I will stop with these. Scripture can shape our lives, if we will let it. It can make us wise and discerning. It can teach us what to post and what to comment. It can teach us when we need to refrain our fingers from typing. I don’t know about you, but reading through these passages reminds me that I’ve made many mistakes and have a long way to go. But we’ll know we’re on the right track when our online presence is filled with love, joy, peace, patience, kindness, goodness, faithfulness, gentleness, and self-control (Galatians 5:22-23).